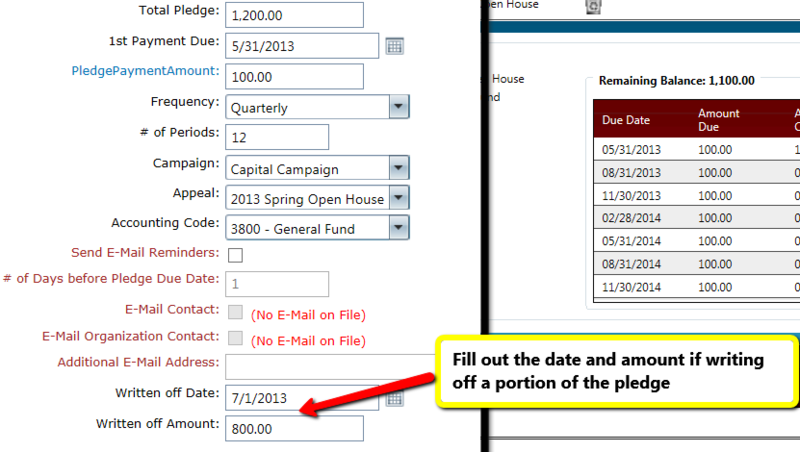 If at anytime you wish to write off all or a portion of a Pledge, Edit the specific Pledge, enter the date of the Write off and then the amount of the write off. DonorSnap only maintains one write off field per Pledge. Therefore, if at a later date you decide to write off more of the Pledge, you would need to adjust the original Written Off Amount to the new cumulative written off amount.